Seeing as it's almost Christmas (eek!) I thought I would do a post all about my favourite Christmas movies. Because who doesn't love cosying up under a blanket, drinking hot chocolate and watching a Christmas movie?! To me Home Alone is the epitome of a classic Christmas movie. If you haven't seen any of the Home Alone movies you need to change that this year. My favourite is Home Alone 2: Lost In New York. Home Alone is about a young boy called Kevin whose family goes on holiday at Christmas and leave him 'home alone'. What's your favourite of the Home Alone series ? This is such a feel good film. I love how there is lots of different storylines that all connect. It's so Christmasy and I have seen it so many times. 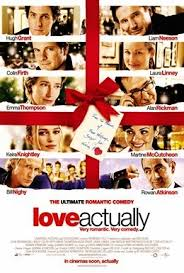 Love Actually is about lots of different people but they are all linked in some way. They are either parent and child, workmates, siblings and so on. Each of the characters have a problem which they spend the duration of the movie trying to overcome and then at the end they all come together to celebrate Christmas. This is like the perfect anti-Christmas, Christmas movie. It's so funny although it's definitely not relatable. I'm like the complete opposite of the Grinch. 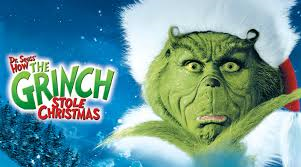 The Grinch is a thing (not really a person is he ?) who hates Christmas. Then comes along Cindy Lou who tries to make him love the holiday. This is very similar to Love Actually in the sense that it's such a feel good romance movie set around the holidays (obviously.) The Holiday is about two women who live on opposite sides of the world. At Christmastime they decide to swap houses. Whilst in the others hometown they each meet a man and fall in love. So that's it for today. Hope you enjoyed hearing about just some of my favourite Christmas movies. Let me know your favourite in the comments. See you on Sunday (if my internet doesn't fail me) for another Christmas related post. Also how many times have I said the word Christmas in this post ? !